I adapted my go-to brulee base to better translate into a flan by dropping the INW Creme Brulee a smidgen and boosting the Custard. The result is a deliciously creamy flan, topped with caramel. As FA Honey is more potent than kryptonite, I recommend ONE DROP per 30ml. Any more and it will overpower the mix. EDIT I added 1% Liquid Amber to enhance the fig. I specifically made this as my FA Fig Fresh single test since I am super familiar with the other ingredients. I had a feeling the amount of Custard and Creme Brulee were high for the concentration of Fig Fresh. Turns out, The balance for me is better with a third less Custard(2%) and Creme Brulee(1%) which helps the Fig from getting so lost. Overall, the flavor was good and a change from the typical fruity custard types. Wow. This is not the flavour that i was expecting :) It has a very warm and smooth feeling and the fig feels like it is more in the background than the primary note. There is almost a maple/tree like feeling to it but in a very smooth way (this is the honey and the liquid amber I guess?). Very very enjoyable but I would like the fig to be more prominent. 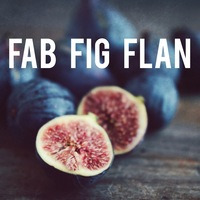 I've been dabbling with FLV Fig myself and seeing this made me want to try out Fig Fresh. I have to say that I enjoy the flavor but like what wh1skeyk1ng said it's really the texture that makes this recipe. It's smooth, creamy, and the fig really just brings it all together in my opinion. Thanks for sharing this! I enjoy this a lot better after a couple weeks when it comes together. I bumped the honey up closer to 0.2% and it works well there. I will say it isn't exactly a knockout in the taste dept, but what it lacks in flavor, it makes up for in mouth feel. This is a well balanced recipe and true to its name. The overall profile is light enough for ADV, not too sweet or rich, just enough to keep you coming back for more!